If you've ever suffered from the unfortunate scenario that is knocking over a bowl of candy in the dark while watching a movie, never to find your precious, sugary bounty again, you're in luck. 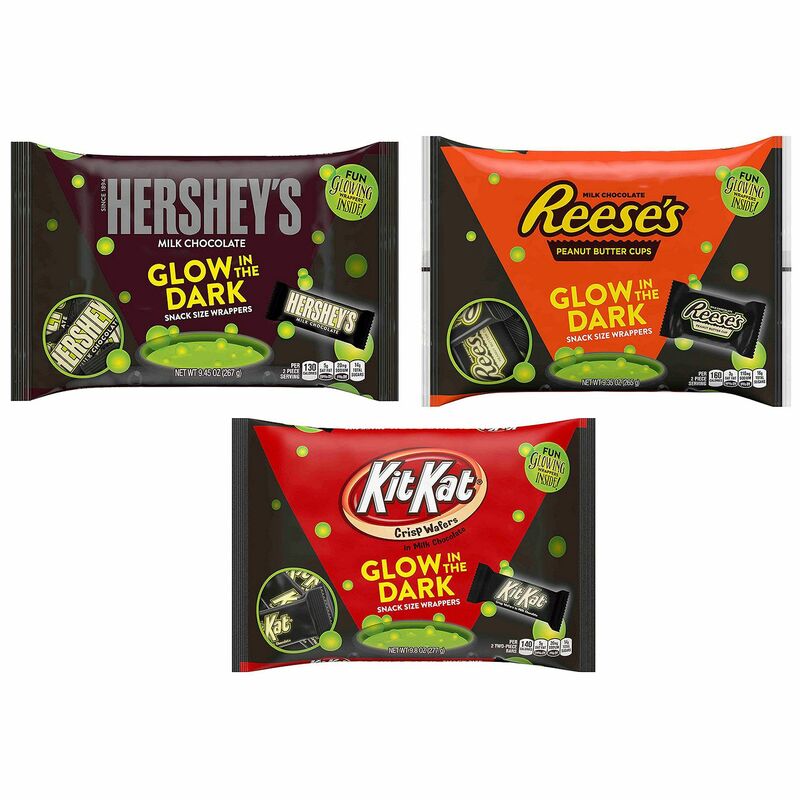 This Halloween, Hershey's is making glow-in-the-dark wrappers for several of its fun-size candies, including Reese's Peanut Butter Cups, Kit Kats, and Hershey's Milk Chocolate Bars. You'll never have to worry about losing your candy to the dark abyss beneath your couch during a horror movie marathon again, and you'll have an easier time than ever sneaking your favorite chocolate sweets out of your kids' trick-or-treat buckets in the middle of the night. 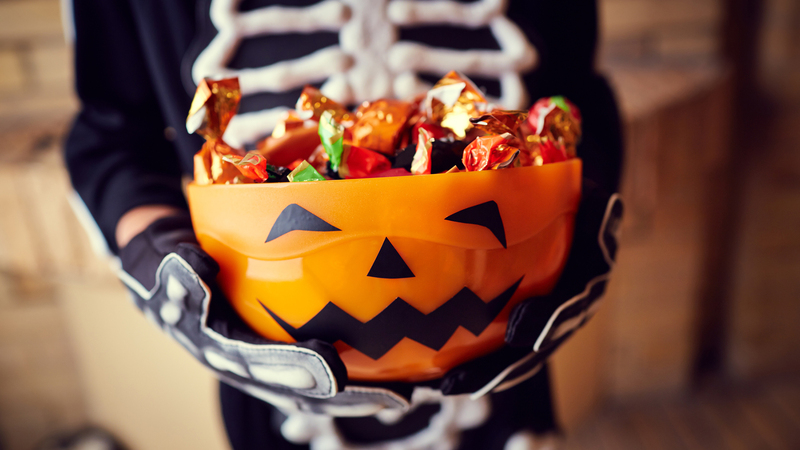 If you're competitive with your neighbors about offering up the best candy to kids who knock on your door on Halloween night, this is the perfect opportunity to get ahead. Who cares about full-size candy bars when they just sit in the dark, as lifeless as roadkill? Instead, fill their buckets with handfuls of glowing mini candy bars, like enchanted glitter turning their entire candy haul into something akin to magic. You can start stocking up on the glow-in-the-dark candy now. They're being sold at Sam's Club for a very spooky $6.66 each and will be available through the Halloween season. Just don't give into temptation and open the bags too early; these are a little too easy to spot on your midnight snack kitchen raids.